I've been on a pancake binge. When I went to Massachusetts a few weeks ago my mom bought some Kinnikinnick pancake mix, and oof it's delicious. I snagged a bag of it at the Wholefoods up there, since my store doesn't carry it. I've gotten up early a few times in the last week or two to make pancakes before work. Then maybe I eat them all. I love pancakes. This mix has pea starch, which helps make the mix high in fiber and protein. And it's easy, delicious, and makes yummy pancakes. Get it here or here or find it at Wholefoods (or, if yours doesn't carry it, ask them to special order it for you). My kinnikkinnick pancakes do NOT turn out like this! I'm very envious. 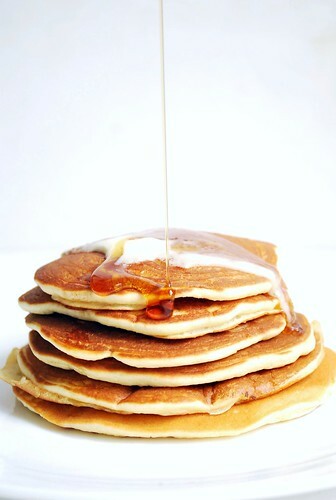 And totally craving pancakes now... hehe. 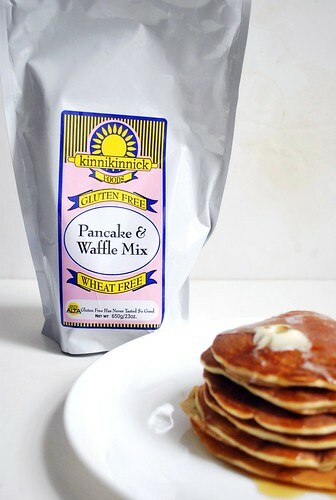 Haven't tried the Kinnikinnick pancake mix, but they look amazing =D. EVERYTHING Kinnikinnick makes is amazing. Their mixes are incredible. 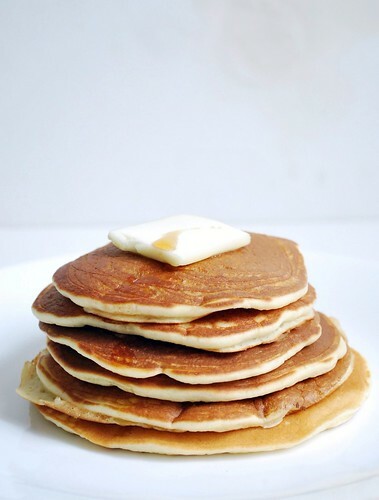 Your pancakes look so good. I love pancakes but Steve doesn't so I almost never make them...mmmm mmmm good! 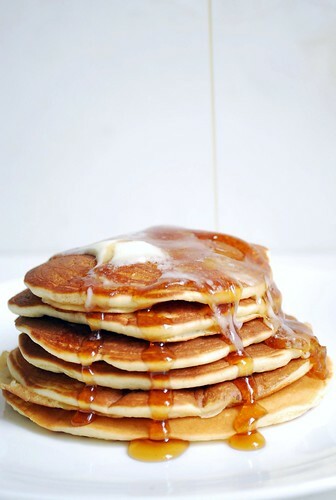 I'm craving for pancakes now.. Need to go shopping for some pancake mix.. I just love pancakes. this is my faaavorite pancake mix! They are ALWAYS delicious - and my husband actually prefers these to biquick non gf because they are a bit sweeter.